Grilling season is serious business. I get that. 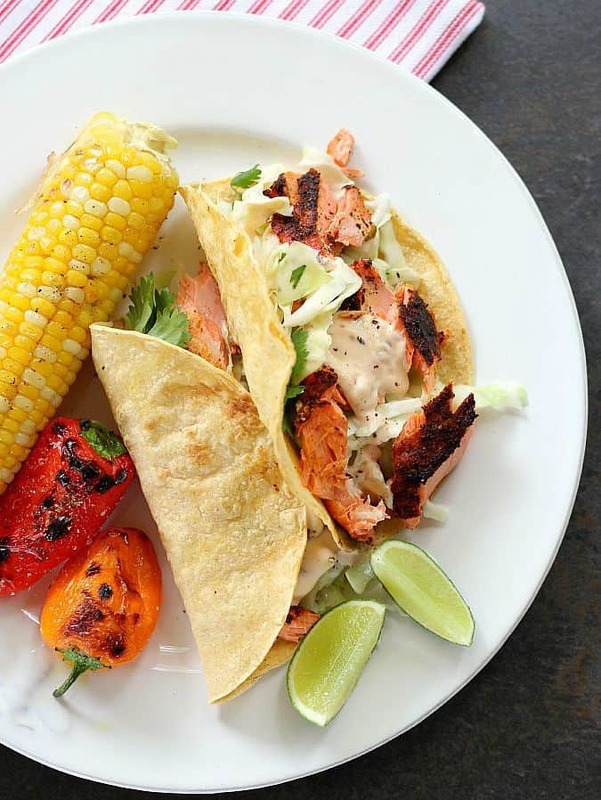 The flavor that grilling adds to meat and vegetables is incomparable to any other cooking method. I have a friend who says “I’m grilling six days a week now. You should do a whole week of recipes for the grill!”. While I might not grill as often as that, when I do, I know my family’s expectations are high. 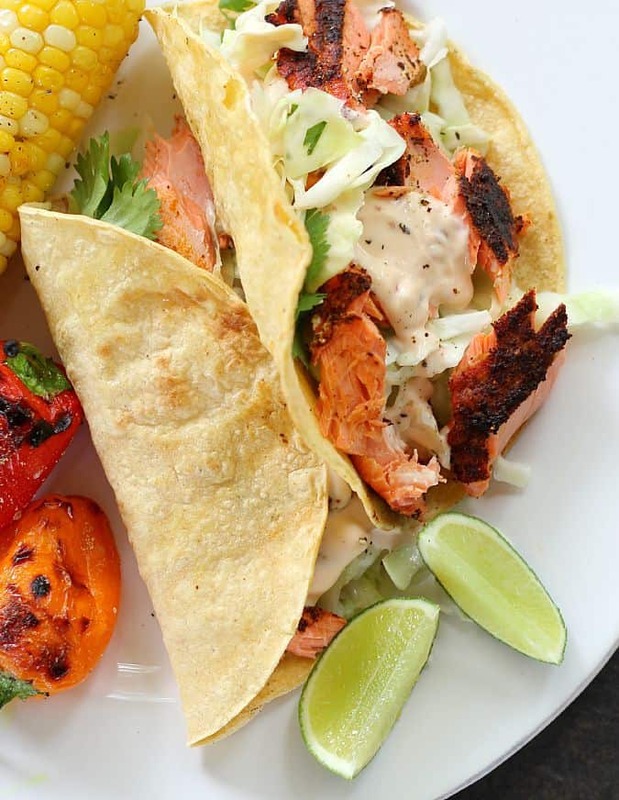 So for my grill-obsessed friend as well as for all of you, let me say – These are the best grilled fish tacos I’ve ever made. Let’s break down the components of this recipe- Fresh ingredients are key here. When are they not? Let’s begin with the fish. Your fish should not smell “fishy”- ask the butcher or fish monger to let you smell it. If it’s fishy, take a pass, it’s not fresh and that fishy smell will translate into how it will taste (blech) when it’s cooked. 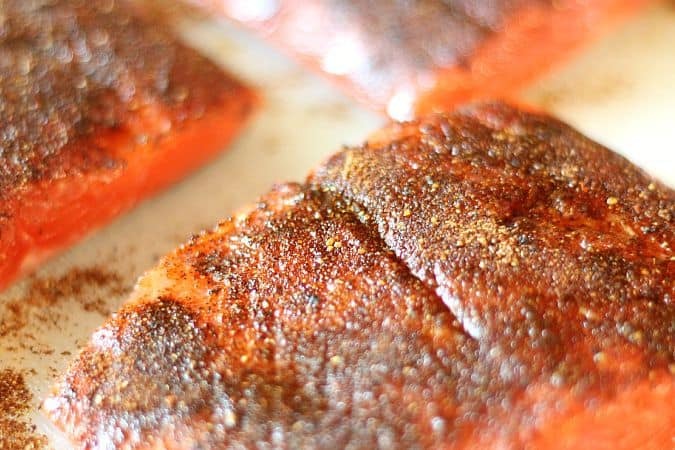 Wild salmon is featured here, but several firm-flesh fish options would be delicious. I’ve used mahi mahi, red snapper, halibut, even cod. And, if you can get a filet with the skin still attached, even better. There you have it. 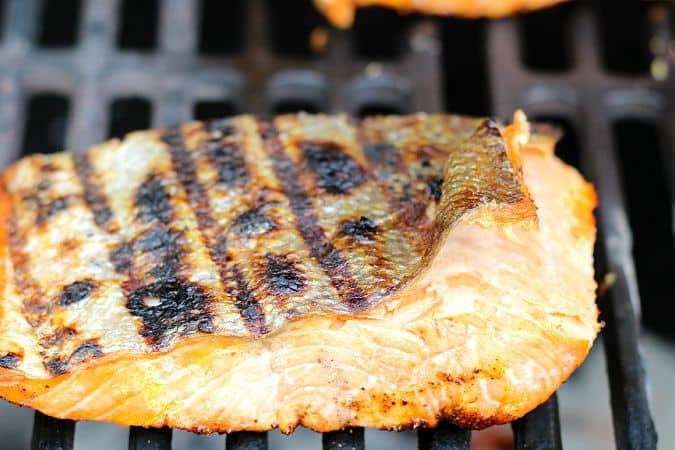 One of my favorite grilling recipes for fish. 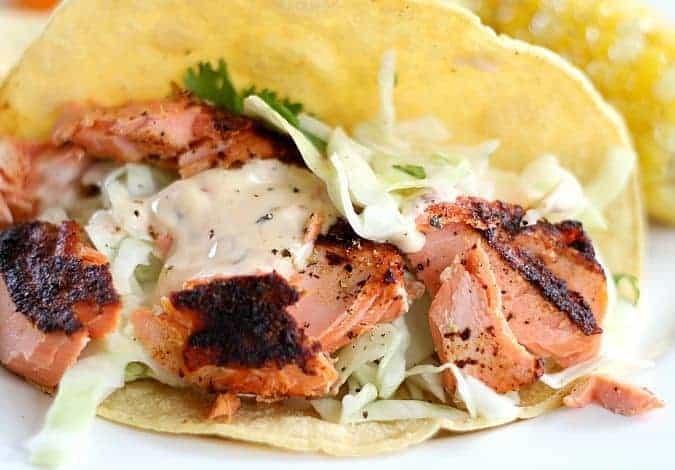 And for a Paleo option or if you’re just cutting back on grains in general, omit the corn tortillas and make sure your mayonnaise is made with avocado oil. Primal Kitchen’s Mayo is excellent and one of the only alternative mayonnaise I’ve tried that tastes authentic. 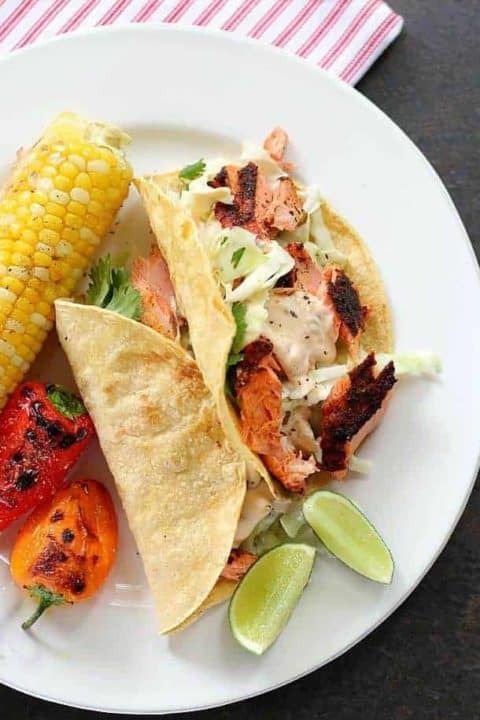 Oh and speaking of the corn tortillas, throw them on the grill for just a few minutes to heat, soften and char them as well. Now I would love to snack on these for lunch today, boy is that plate BEAUTIFUL! Thank you Kevin! 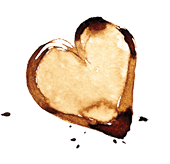 We eat this one a lot… and I’m also enjoying my morning coffee while I read your nice comment. Have a great day, my friend.